One of the largest and finest selections of camellias in the country. 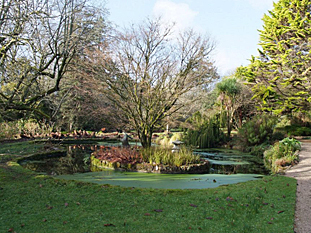 The chief architect of Trewidden Garden was Thomas Bedford Bolitho who started in 1880 to plant a unique collection of trees and shrubs, thus creating one of the finest informal gardens in south-west England with magnolias rhododendrons and camellias. 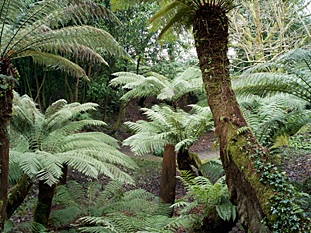 Tree fern being a special feature. 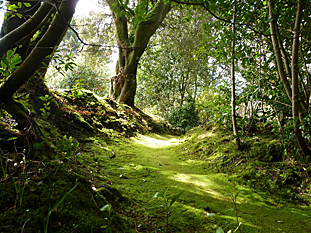 The chief architect of Trewidden Garden was Thomas Bedford Bolitho who, together with his daughter, Mary, started in 1880 to plant a unique collection of trees and shrubs, thus creating one of the finest gardens in south-west England. Signposted from the A30 Lands End road 2 miles west of Penzance at Buryas Bridge.